There's nothing quite like a man who loves his kids to pieces. 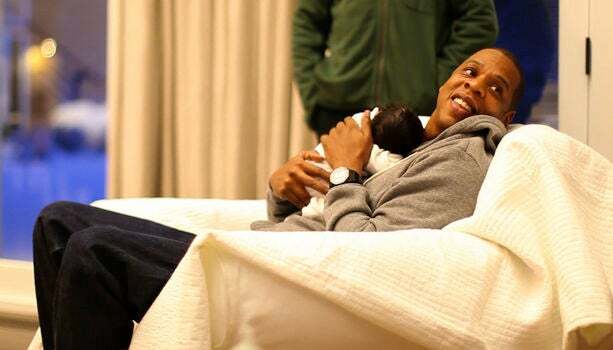 Rap mogul Jay-Z calls daughter Blue Ivy his greatest creation. 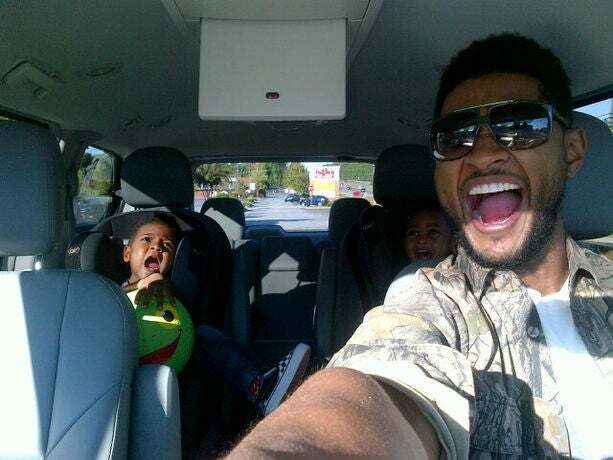 Usher and his sons, Usher V, 4, and Naviyd Ely,3, always have a blast. “We’re havin’ the time of our life!! 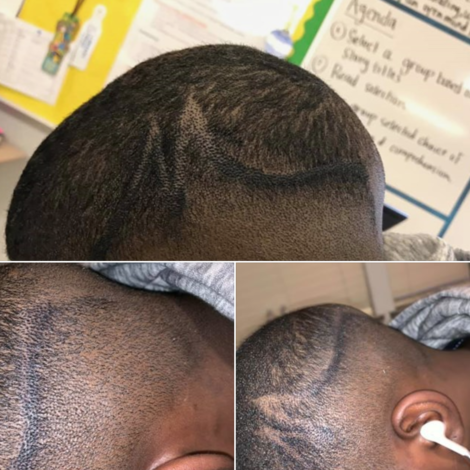 This is swag!!! Dad Swag!” tweeted the singer. 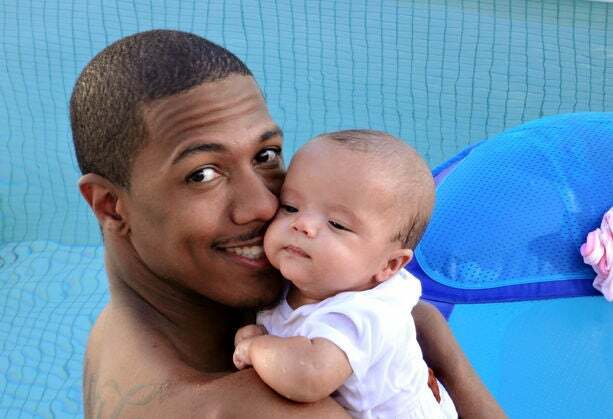 “Everything about [fatherhood] is wonderful, but it’s about having a connection and unconditional love,” Cannon told PEOPLE. The bubbly actor is dad to fraternal twins Moroccan Scott (pictured), and Monroe. Seal keeps daughter Lou Samuel close while running errands. Adorable! “I completely enjoy being a dad like 1,000,000% because your children bring out all the bad and good qualities in you,” comedian Bill Bellamy told VIBE. 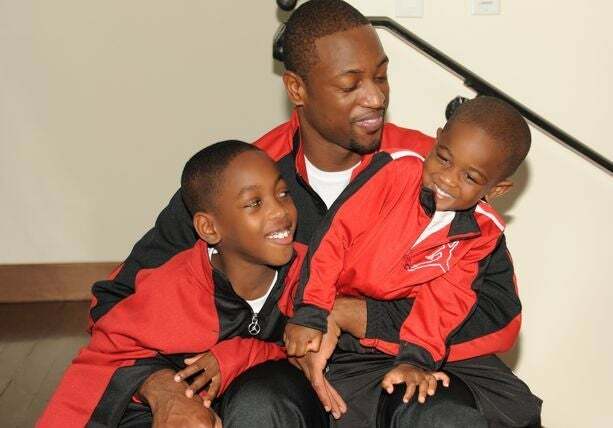 “Every time, every morning, every night I look into my boys’ eyes I’m proud, and I see the future,” Dwyane Wade told ESSENCE.com. 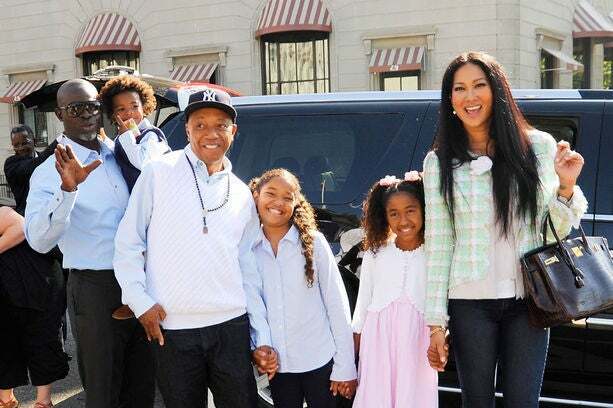 “Having a child teaches you so much,” Russell Simmons told OK! Magazine. 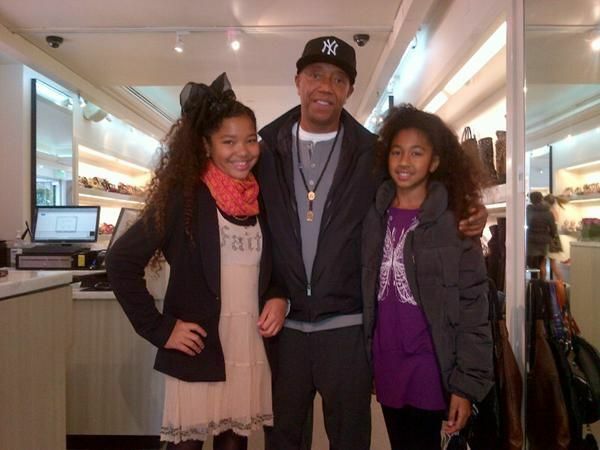 Here, he’s pictured with daughters Ming, 12, and Aoki, 10. Djimon Hounsou dotes on his son Kenzo (mom is Kimora Lee Simmons) and stepdaughters Ming and Aoki Lee. Idris Elba and his daughter Isan arrive at the Captain America movie premiere in Los Angeles. This past holiday season family man and actor Forest Whitaker took his daughters, Sonnet Noel and True, to give back at the Los Angeles Mission. 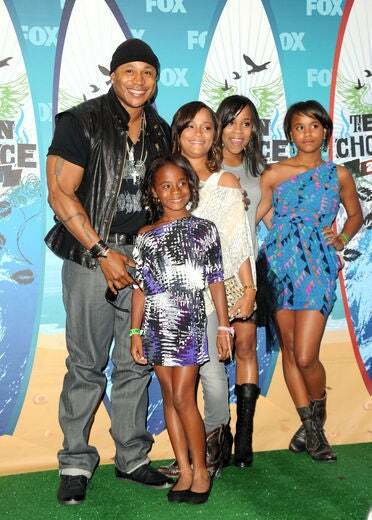 LL Cool J poses for a sweet picture with his wife and daughters at the Teen Choice Awards. 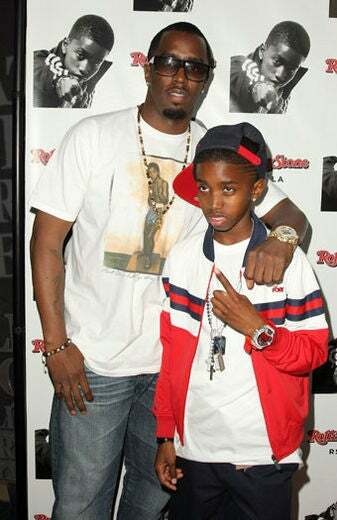 Diddy’s son Christian Casey Combs is the spitting image of his mogul father. 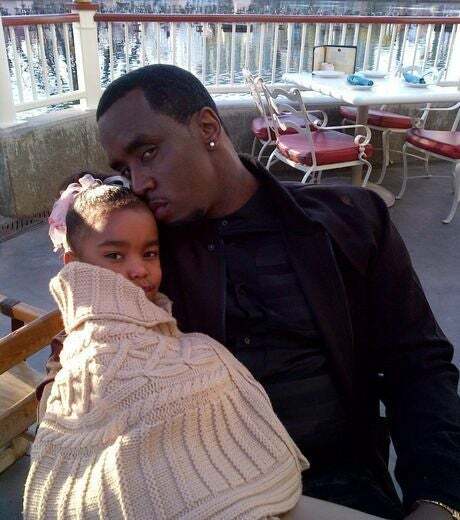 Diddy has four other children, Justin, 17, Chance, 5, and twins D’Lila and Jessie James, both 5. “Being a dad made me a real man,” Robin Thicke once told ESSENCE.com. His son Julian, with wife Paula Patton, recently turned 2. 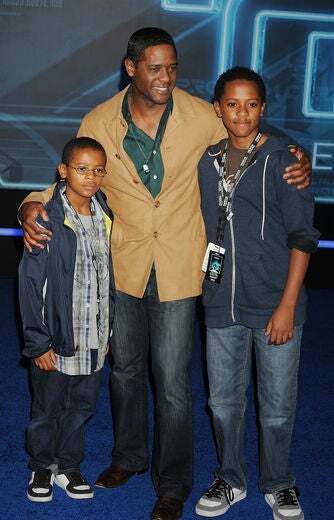 Blair Underwood is dad to sons Blake, 11, and Paris, 15. Robin Thick carries his son while strolling in NYC with his wife, Paula Patton. 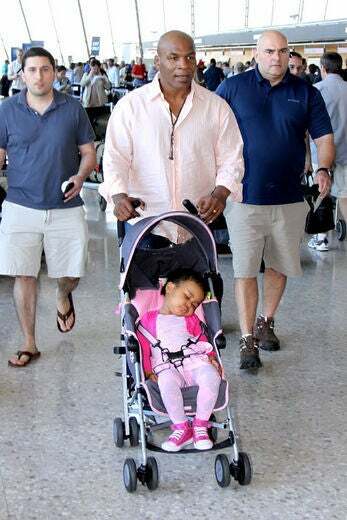 Boxer Mike Tyson heads to the airport with his precious babygirl. She looks so peaceful in that stroller. 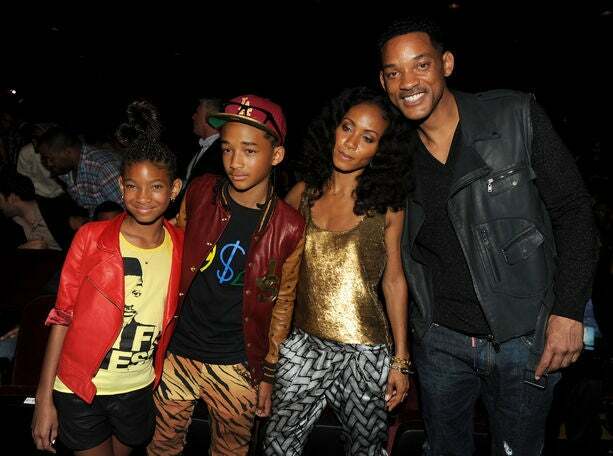 Will Smith hangs out with his picture-perfect family. Common and his daughter Omoye Assata Lynn, in Los Angeles. Too cute! 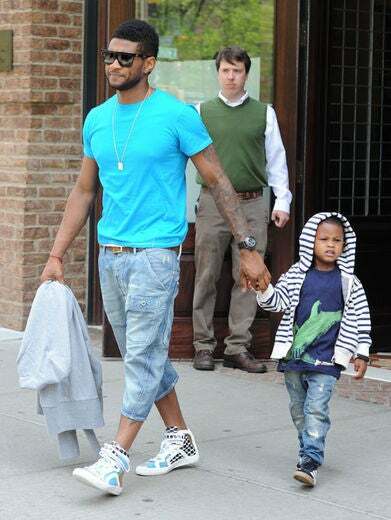 Usher loves being with his sons. They take a break to run some errands hand in hand. 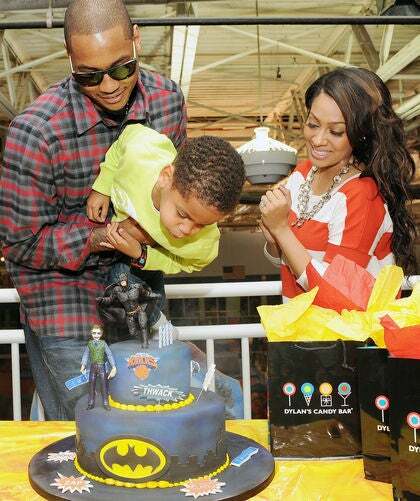 Carmelo Anthony helps his son Kiyan blow out the candles on his birthday cake. Looks like a fun party! 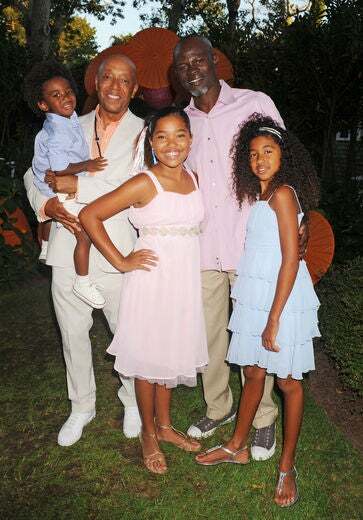 Forest Whitaker and his daughters have some fun in the sun at the Ischia Global Fest 2011 in Ischia, Italy. 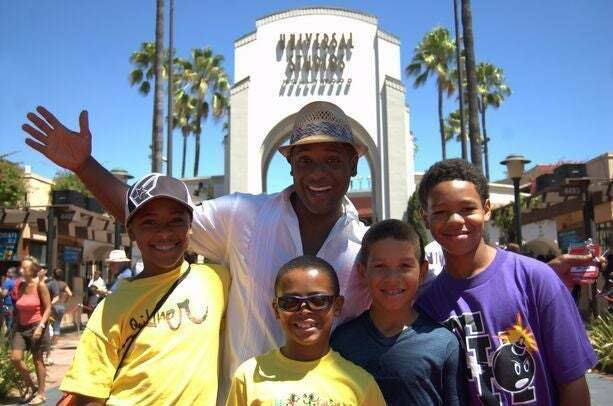 Blair Underwood is dad to sons Paris and Blake (in yellow, pictured here friends). 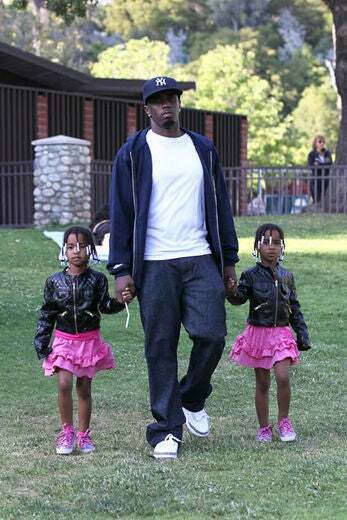 Diddy has a play date with his twin daughters at D’Lila Star and Jessie James at the park. 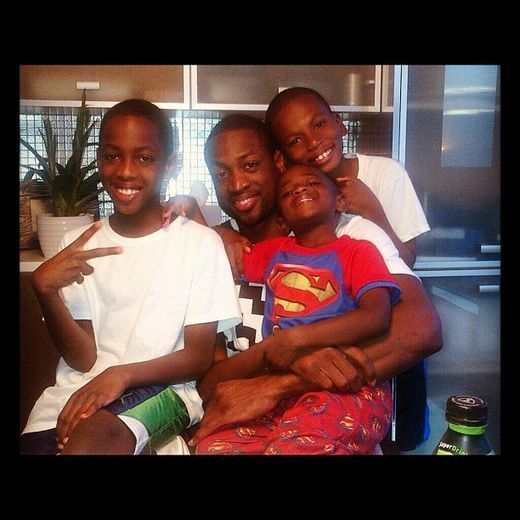 It's all smiles for Dwyane Wade and his three boys Zaire, Dahveon, Zion and Xavier. 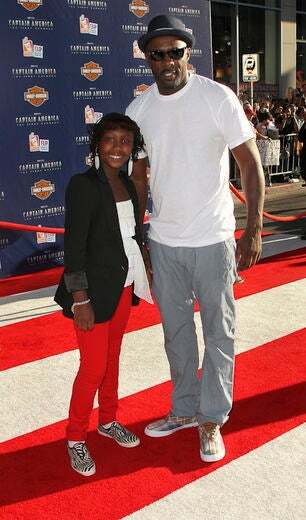 Snoop Dogg and his daughter Cori are closer than close. Swizz Beatz and wife Alicia Keys are spotted with son Egypt Daoud Dean. How adorable is that baby? Swizz Beatz can always be seen out and about with sons Prince Nasir and Kassem Jr.
Co-dads Russell Simmons and Djimon Hounsou pose with little Kenzo, Ming and Aoki. “Having a child teaches you so much,” said Russell. 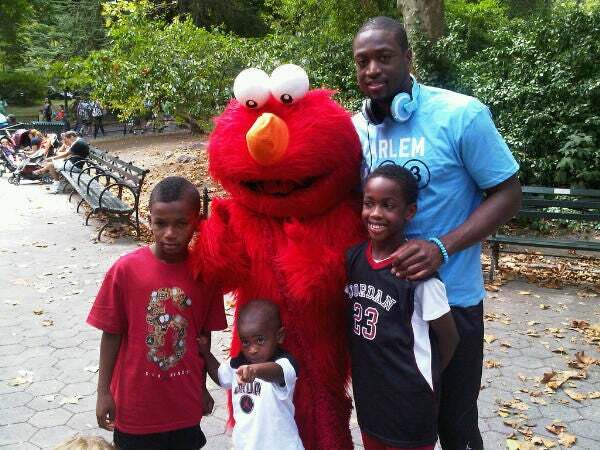 Dwyane enjoyed a trip in Central Park with his sons, Zaire Blessing Dwyane Wade and Zion Malachi Airamis Wade. 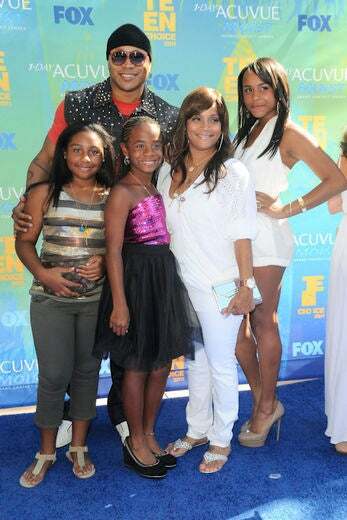 LL loves bringing his wife and daughters to the Teen Choice Awards each year. Here they are at last year’s event. Don Cheadle takes a walk with his wife and daughter, Ayana Tai Cheadle. Usher is really enjoying his daddy time with his two sons, Usher Raymond V and Naviyd Ely Raymond. 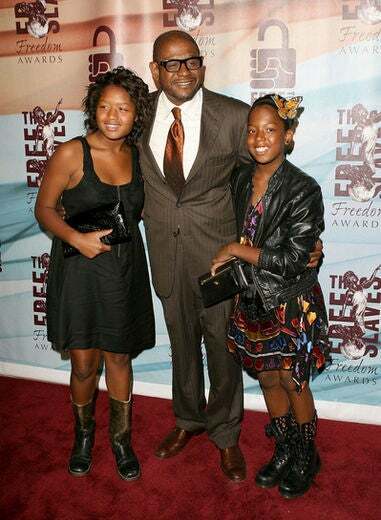 Family man and actor Forest Whitaker took his daughters, Sonnet Noel Whitaker and True Whitaker, to the 2010 Freedom Awards. 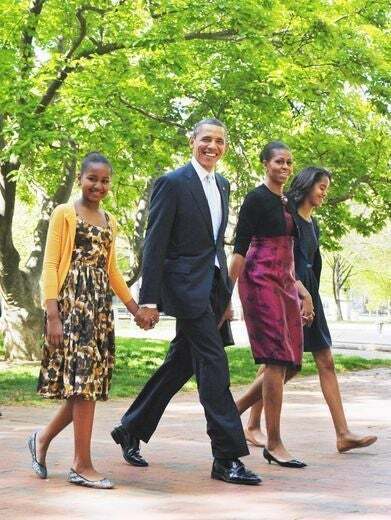 The Hounsou and Simmons families step out in Washington D.C. for a family day at the White House. 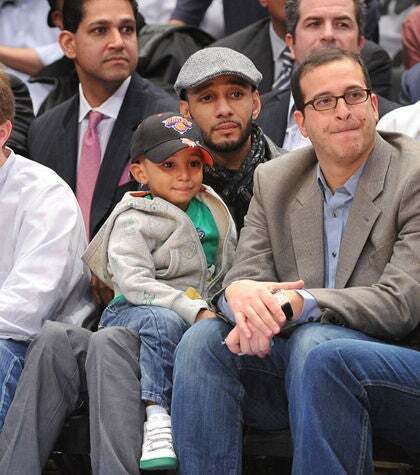 Swizz Beats brings his son court side to watch a game of hoops. 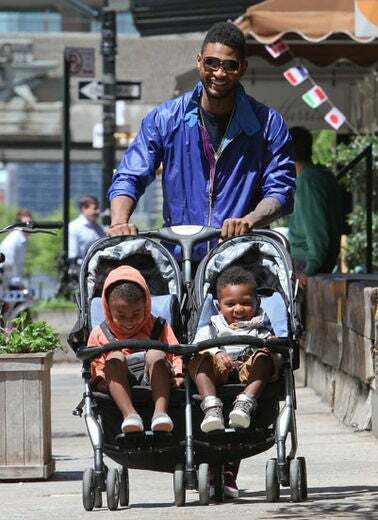 Usher takes his two boys for a walk in the park. The boys look like they are having a blast hanging with daddy! 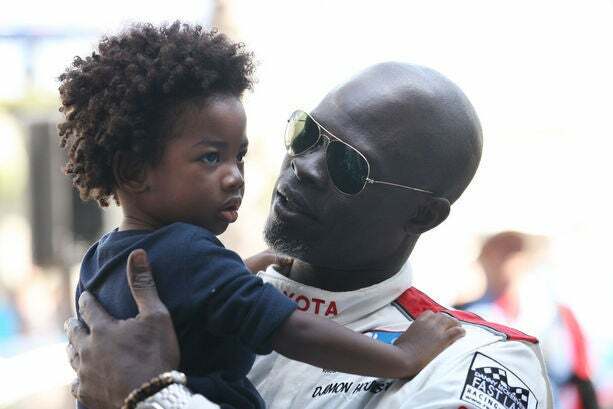 Djimon Hounsou gets up close and personal with his son Kenzo. 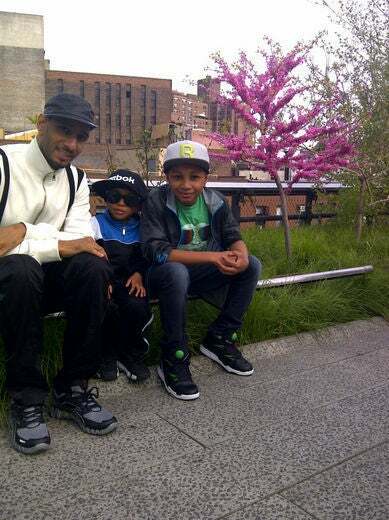 Usher shares a special moment with his two adorable sons Usher Raymond V & Naviyd Ely Raymond. 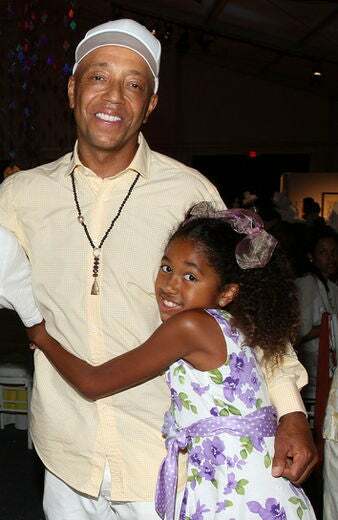 Russell Simmons and daughter Aoki Lee Simmons attend the Art For Life East Hampton 11th Annual Benefit. These two are so cute together! Usher is spotted out and about carrying his son in New York City. 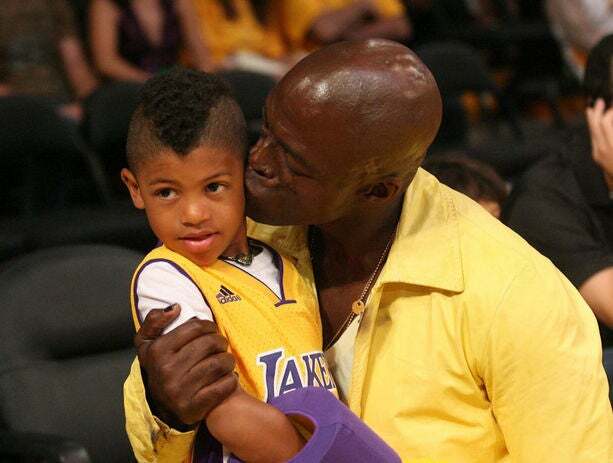 Seal gives his son a warm embrace and kiss while at a basketball game. Adorable! Usher gears up for a day of basketball with his little one. 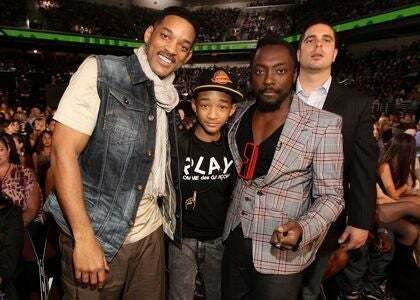 Will Smith gives his son Jaden an awe-inducing peck on the cheek at a Press conference in Berlin. “You don’t get a second chance [to be a dad]. There’s no rehearsal. 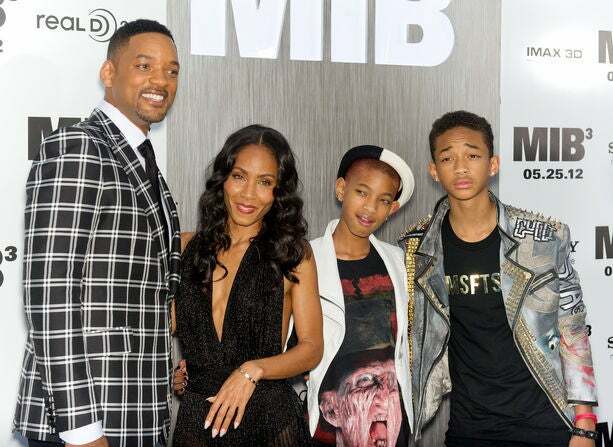 And it’s your most important gig,” says Seal, pictured with his family. Swizz Beatz goes on a walk with his newborn son Egypt, wife Alicia Keys, and older son Prince. 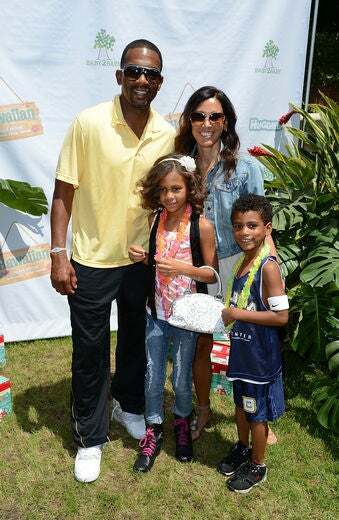 Rodney Peete and his wife Holly Robinson Peete spend quality time with their children at an event in L.A. We love this family photo! 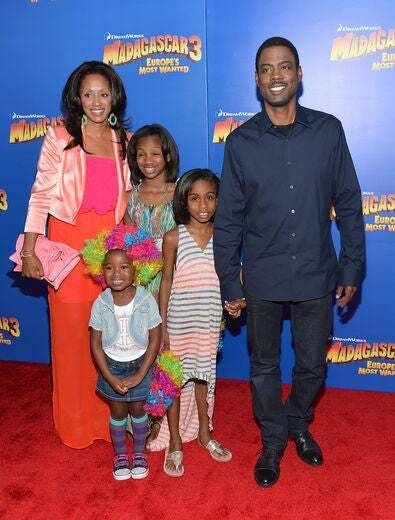 AJ Calloway is a father again! The EXTRA tv host welcomed the birth of his first son in March of 2017. "God gives us blessings beyond our comprehension! Overwhelmed and overjoyed! Mother and son are doing beautiful," he captioned this precious photo he shared on Instagram.